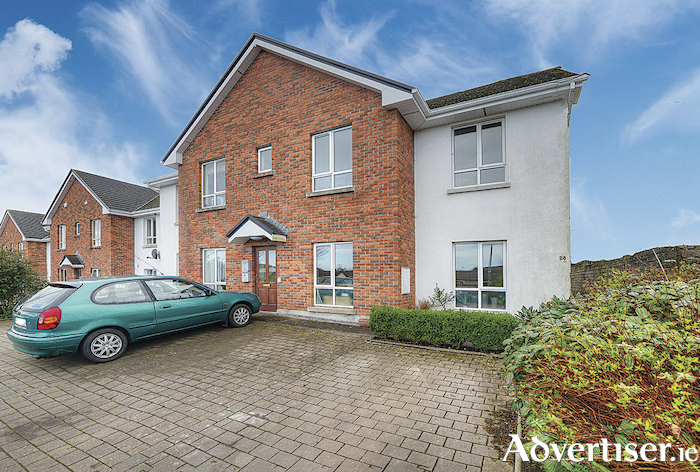 DNG Maxwell Heaslip & Leonard is offering to the market this impressive two bedroom ground floor apartment located on the Ballymoneen Road in Knocknacarra. No 28 Sli Gheal is within walking distance of all amenities, including NRG Gym, Dunnes Stores, and the Gateway Shopping Centre. There is also a regular bus service to the city centre. This property offers a perfect opportunity for either the discerning urban dweller or as an investment. Both bright and spacious , this residence is part of a small complex of apartments and is fully managed and benefits from a private, secure, own front door and its own private small garden. Comprising approximately 710sq ft of living space, accommodation includes a spacious kitchen/living room with three large windows, electric heating, a hallway with hotpress/storage, two double bedrooms, the master of which is en suite, and the main bathroom. According to selling agent Kyle O’Brien: “Given the ideal location and proximity of the property to absolutely all amenities, coupled with the added benefits of being owner occupied, private parking, and private garden, I feel that this presents an ideal opportunity for either an owner occupier or savvy investor. There is much demand and continuing lack of supply for properties such as this, and I expect strong interest and advise viewing without delay." To arrange a viewing contact 091 565621.